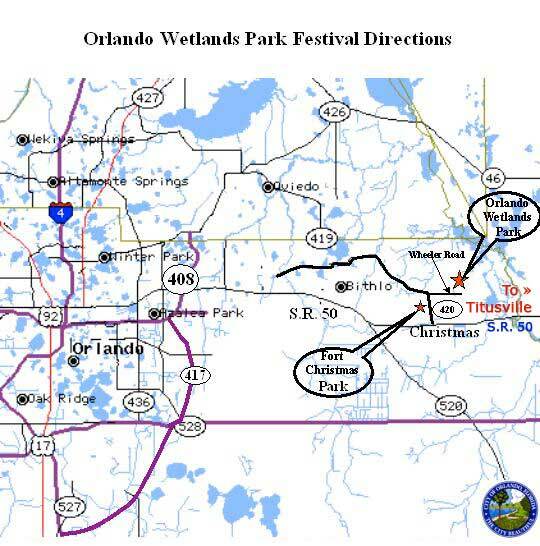 "The next Wetlands Festival will be�Saturday, February 15, 2020"
Click here for information about year round activities at the Orlando Wetlands Park. The Orlando Wetlands Festival was held on Saturday February 17, 2018 from 9am until 3pm. The�City of Orlando, Orange Audubon Society, Orange County Parks & Recreation Department will again be hosting and sponsoring the event. View, Print & Share our event flyer here! There will be food, door prizes, exhibitors, tours and activities. Free admission and free door prizes! For more information: call Orlando Wetlands Park 407-568-1706. Register for this completely free event here. 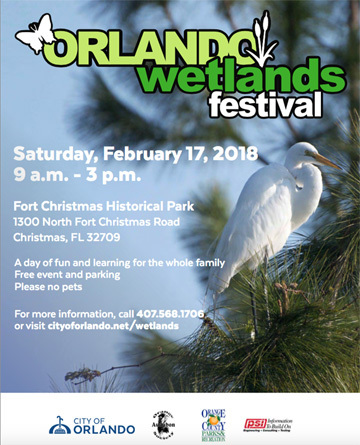 Come and enjoy the Orlando Wetlands Festival on Saturday, February 17, 2018, from 9am-3pm at Fort Christmas Historical Park. 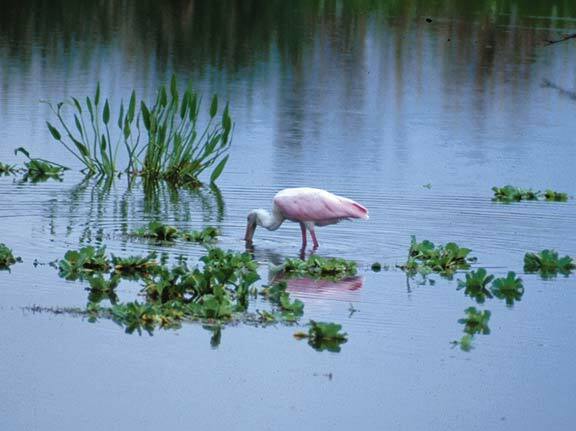 The Orlando Wetlands Festival highlights the Orlando Wetlands Park, the City's 1,650 acre water reclamation wetland. The event is sponsored by: City of Orlando, Orange Audubon Society and Orange County Parks and Recreation. On February 17, 2018, experience this unique wetland treatment system with the entire family. 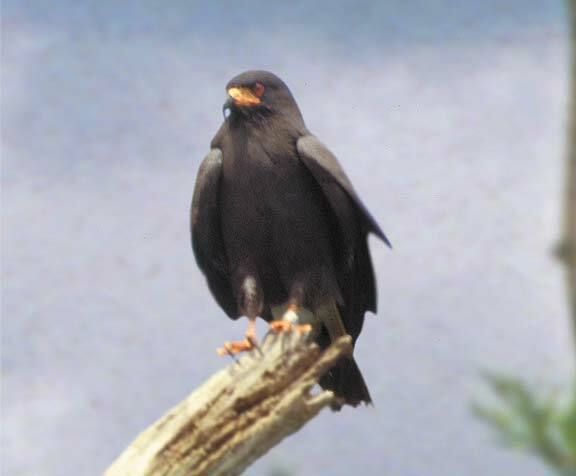 Event co-sponsor, Orange Audubon Society, will lead guided bird-watching excursions. The Friends of the Orlando Wetlands will lead wetland exploration hikes and the Florida Native Plant Society will lead native plant identification hikes. Bring your camera and join guided photo hikes led by professional photographers. For those who like to sit and ride, guided bus tours will travel along the wetland berms, giving riders a chance to experience firsthand, Florida's wild wetlands. In addition to the numerous guided tours, there will be bird-banding and mist-netting demonstrations, as well as, live music by Homer Stiles. 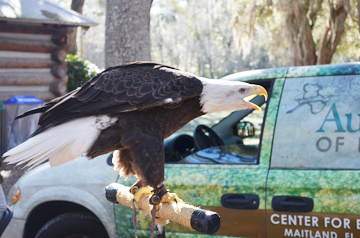 Featured in the various wildlife shows, many different live animals will be present such as alligators, snakes, birds and many others. Also, free native wildflowers and backyard wildlife plants will be given away to encourage biodiversity. 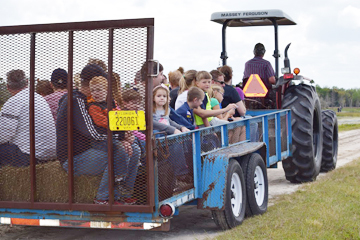 There will be interactive children's activities, bounce houses, hay rides and much more! So bring the whole family and invite your friends and neighbors to this fun, free educational festival. Please leave your pets at home; there are wild animals. Food will be available for purchase. Free admission and free door prizes! Food will be available for purchase supporting the Fort Christmas Historical Society and Boy Scout Troop 25. Please leave your pets at home; there are wild animals. Volunteers for the event provided by the Friends of the Orlando Wetlands and Green Up Orlando. 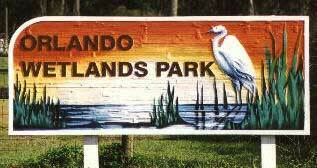 Please contact the Orlando Wetlands Park if you are interested in sponsoring this event: 407-568-1706. Directions: To get to the Park, take S.R. 50 to Christmas, Florida. Turn north onto 420, Ft. Christmas Rd. Continue north 1.8 miles. Fort Christmas Park will be on your left. Free parking will be located on your right across from Fort Christmas Park. The address is 1300 North Fort Christmas Road, Christmas, FL 32709. THE PARK IS NOW OPEN YEAR ROUND! 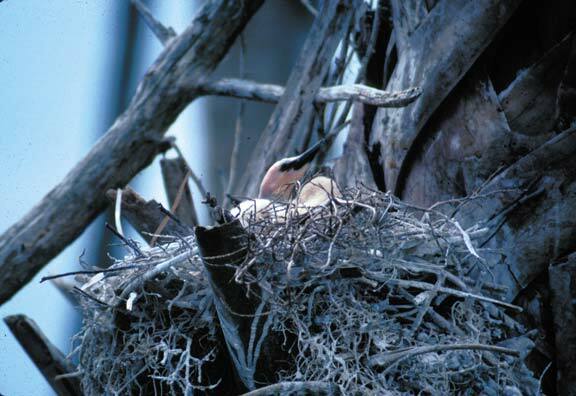 We will have volunteers at the wetlands all of the days of the Titusville Birding Festival. The Education Center will be open and be giving cart tours. Go North on Fort Christmas Road, past Fort Christmas, then right on Wheeler Road to the Park. The Friends of the Orlando Wetlands (FOW) is a citizen support organization for the City of Orlando's Orlando Wetlands Park. Its mission is to work with the City of Orlando in providing educational opportunities to increase community awareness, support, and appreciation of the park and its wildlife. 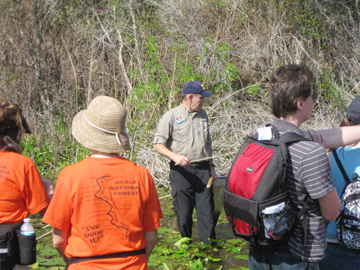 The volunteer efforts include: hosting at the Orlando Wetlands Park Education Center, interpreting nature at the wetlands, including tram tours, developing educational materials for park visitors, maintaining the Education Center and its adjacent wildlife garden, conducting research on wetlands flora and fauna, and assisting at special events such as the annual Orlando Wetlands Festival. Click on the small picture for an enlargement. Use your Browser's BACK button to return. In the mid 1980's, the City of Orlando's Iron Bridge Regional Wastewater Treatment Plant needed more overflow capacity than what was allowed in the Little Econlockhatchee River. In 1986 the City of Orlando purchased 1,650 acres and in July 1987, the 1,220 acres wetland treatment system was completed and reclaimed water began to flow from the Iron Bridge Plant. The system was designed to polish up to 35 million gallons a day of reclaimed wastewater. The water is conveyed through a four-foot diameter pipeline approximately 17 miles.